Jenny Fitzgibbon and Jeremy Dunlop enjoyed performing for several years with Musica Viva in Schools around Qld, NSW and the NT, as well as at many festivals around Australia. 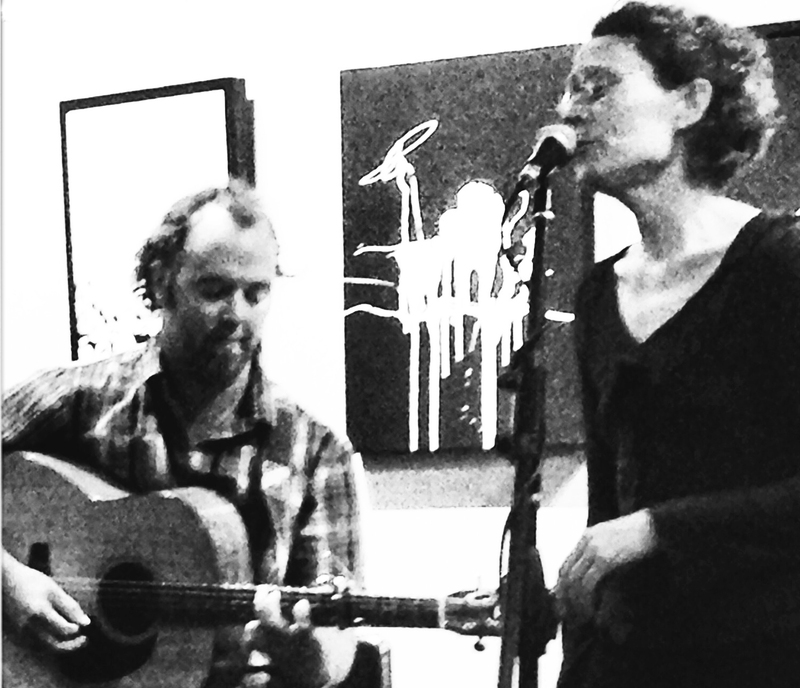 Jenny’s great vocals, humour and energy, and Jeremy’s harmony-rich guitar work will make a perfect roundoff to a Sunday afternoon. They are joined by Maleny local Jevan Cole who has been touring recently in Canada and Oz. He has several solo cds and one with Jenny. His amazing fingerstyle guitar is complex and moving. Proceeds from drinks and nibbles going to Women Out Front’s Compassion4refugees appeal. $10/$7 and 18 and under are free. I am in Sydney next – supporting the legend Danny Spooner at the Loaded Dog in Annandale. Any Sydney-sider will already know it. The club is housed in the upstairs hall of the Annandale Neighbourhood Centre – the former Annandale Town Hall – a splendid example of a late Victorian sandstone public building with superb acoustics due to the 20-foot ceiling and wooden floor. Please come and join in the fun – they do great meals and it’s always a lovely bunch of people. “I could listen to them sing the telephone book” , commented noted folklorist, the late Alan Scott, Long-time ABC radio presenter David Mulhallen described them as “Two of Australias great folk artists”. Jenny Fitzgibbon has been singing a cappella for many years. She’s funny and theatrical with a resonant, magical voice. A parody writer of renown, Jenny’s Celtic Cabaret style is captivating.